In the cannabis industry, there is a new kid on the block. If you haven’t been around for a while, the term “terpene” may be new to you. If you have been paying attention, then you’re all about those terpenes. The aromas and flavors are great, and you love how they make you feel. What’s more, you can customize your terpene experience by mixing and matching them, as well as finding a terpene strain profile that fits your desires perfectly. 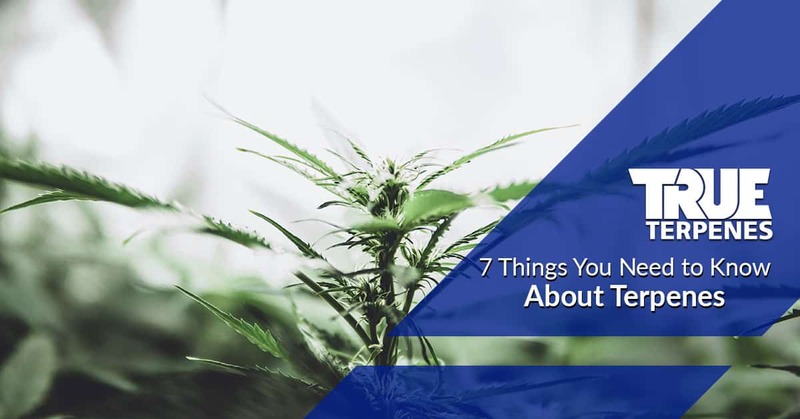 But before your run off and buy just any terpenes, True Terpenes wants to share some things with you that you should know. In this article, we’re going to share 7 things that may surprise you about terpenes. As a consumer, you want to know where your products come from and how they’re handled. At True Terpenes, we understand your concern. With this article, we aim to explain what you need to know about terpenes before you begin enjoying them. It’s a common misconception that terpenes surfaced due to the better understanding of the cannabis plants (marijuana, hemp, and more). Cannabis is a genus of plants that belong to the Cannabacea family. With all this being shared, terpenes are everywhere. There are around 30,000 know terpenes identified around the world. From the orange you eat for lunch to the pine trees you smell while walking through the forest ,terpenes provide an aromatic experience, as well as a unique flavor when ingested. For most, plants utilize terpenes as natural defense mechanisms to fend off predators. In other instances, terpenes are simply chemical compounds that enhance the scent or flavor of the consumable. As mentioned above, there’s an estimated 30,000 terpenes already identified, and there will be more as we study more plants. What this means for you is that as True Terpenes extracts more terpenes, you will have more customization over your terpene experience. The pungent smell of marijuana and hemp is to repel natural predators, attract pollinators, and enhance their own development as a plant. How do they get these scents? Terpenes are the answer. What’s more, terpenes use the same chemicals to interact with our own body, which is why you get a unique experience when you enjoy them. Imagine your favorite smell. What do you remember about first encountering the smell? For some, the scent of pine trees takes them back to their childhood. For others, the scent of Alaskan yellow cedar takes them to their summer hiking stint up north. Those connections between scents and memories are partly due to the influence of terpenes. The blood barrier that filters chemicals in your body to interact with your endocannabinoid system is affected by terpenes. This means that terpenes synergistically engage with THC, CBD, and other cannabinoids to create a unique experience. Depending on how you mix your terpenes, you can enjoy different experiences. The same goes for the terpenes in your cannabis bud. The extraction of terpenes from any source takes precision and expertise. The diminishing returns from an improperly extracted terpene is huge when it’s done incorrectly. That’s why when you’re in search of a terpene provider, you want to learn how they extract the terpenes and the method they use. Both the quality of the source and the precision of the extraction play a role in the purity of the Terpene. Every single day new knowledge is being discovered about terpenes. There are dozens of studies showing their potential in various applications. However, you can still enjoy terpenes now in your free time. At True Terpenes, we’re confident in terpenes becoming a ubiquitous product that many people will enjoy on a regular basis. When you choose True Terpenes as your terpene provide, you get only the best strain profiles and isolates in the industry. Each profile is precisely curated to retain the purity of the terpene while also being wonderful to enjoy. Ready to try terpenes that smell and taste great? Shop our terpenes for sale online now!